My latest passion for fashion is creating Custom Fashion Illustrations. I never knew having an Etsy Store would be so fun, and that I would get to work directly with so many people. I love helping people by creating a custom gift for one of their friends that is unique and personal to them. I love the idea of helping create one of a kind gifts that are fashion inspired - especially because the world of fashion can sometimes be very focused on mass production driven. Creating these custom illustrations is my way to connect back to the romance of fashion. One of my most recent projects is for Shop Refine. The owner is a talented fashionista, Tanya Semsar who asked me to work on an ad for her that is going in a magazine. Her shop is appointment based shopping in the DC area. I loved working on this project with her. She reached out to me with photos of the outfit she wanted to have illustrated. I then sent her a draft and incorporated her feedback. Was so excited to see the final product in DC Modern Luxury magazine! One great thing about plaid is that it is a fun fall/winter staple that never goes out of style. Most girls wear a plaid shirt back to denim because its easy and comfy. One underutilized aspect of plaid is that it can be dressed up. In my mind this is the best combination - Plaid comfy paired with a heel and a cute skirt. 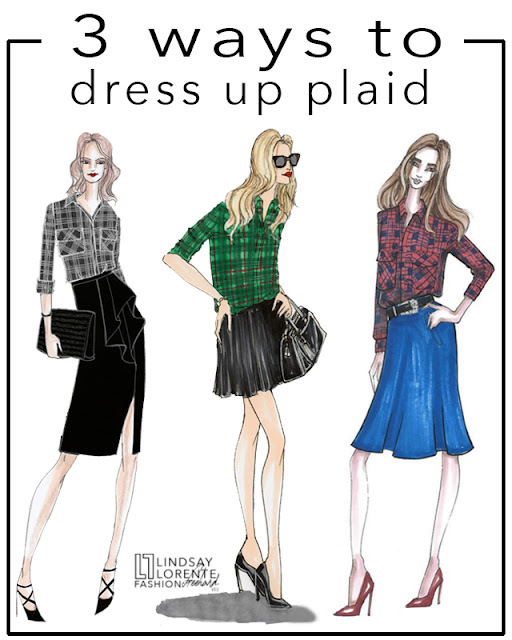 Here are three different ways to wear plaid with a skirt. Would love to hear more about your favorite plaid looks! Despite the drive, we skied Alta two days out of three. We are both skiers and the trails on Alta have tons of powder due to it being a skied only mountain. For that reason it is a little easier to ski in the trees. Skiing in the trees is something I just started doing so I need to have lots and lots of open spaces in between the trees. I like Alta because I can ski in a little bit in the trees without committing to full on alpine skiing. Also, Alta feels a little less windy than Park City. 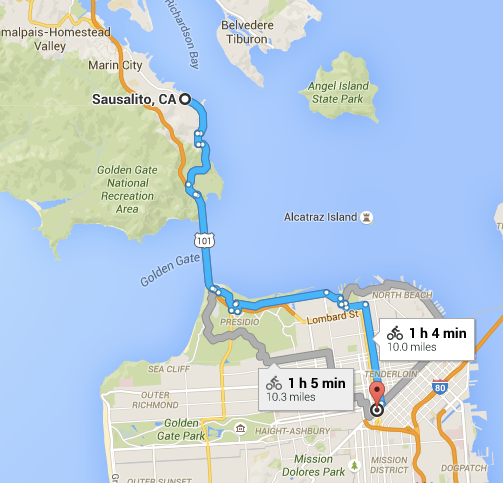 One of the best parts about SF is that you can bike over the Golden Gate Bridge to Sausalito. If you are up for the hilly bike trek, you can reward yourself with an delicious meal at Bar Bocce. in addition to the bocce court, there is a fire pit and beach spot that the restaurant opens up to which fills up with minglers. This is where my passions mix and come alive. 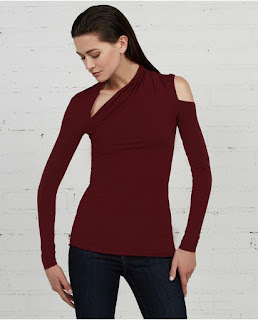 I have over 6 years experience as a Fashion Designer in NYC and LA.There are so many moving parts to fashion and there are different passions within my passion for Fashion. I think my favorite moment in any creative process is when I start with a freehand sketch. Thats why I chose to name my blog Fashion Freehand. As the production comes to life, I may drape fabric, use photoshop, or combine materials. Yet, it is the initial freehand sketch - away from rulers and curves - that keeps the essence of my creativity alive. I hope you enjoy my sketches, more developed products, and lifestyle captures. As always, the goal is to provide inspiration to others in culture, lifestyle, food, and travel... so please share your tips and ideas!